It’s Wednesday and you know what that means!! 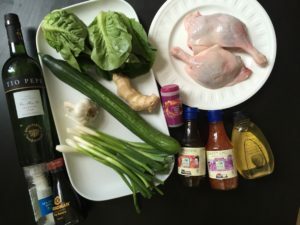 Another fabulous female foodie gets some LOVE and I get to try out a new recipe. As you know by now, I love Woman Crush Wednesday! It punctuates my week with joy to share with you how many gorgeous gourmet gals are making their mark in the culinary world. It is a global phenomenon and yet most people when they hear the word chef instantly think MAN, unless you say female chef. Yet, statistics show that the majority of home cooking is done by the women. So that is why I am humbly trying to do my part to shout out to anyone that reads this or sees my social media. These lovely ladies are talented, inventive, hard working and nurturing our worlds’ food, and we are the beneficiaries! Today’s honoree is the amazing Ching He Huang. She was born in Taiwan, and lived in South Africa before moving to London when she was 11 years old. 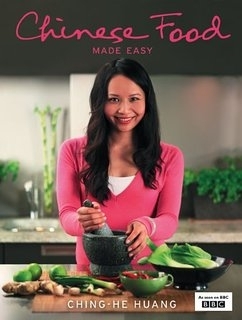 But Ching’s connection to her homeland was nurtured through the foods she ate and indeed cooked. 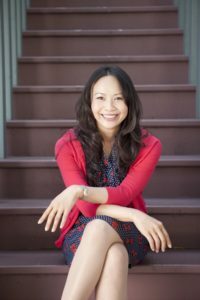 Her resume is so long I could go on all day, but suffice it to say, with numerous best selling and award winning cookbooks she is a force to be reckoned with. She has made Chinese cooking accessible and taught us all about the benefits of Clean Eating. 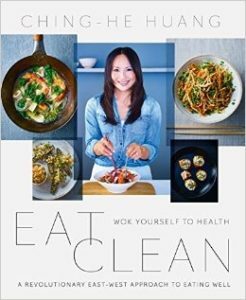 And she is such a familiar face on television with her own cooking shows as well as appearances on various shows such as BBC’s Saturday Kitchen with James Martin. 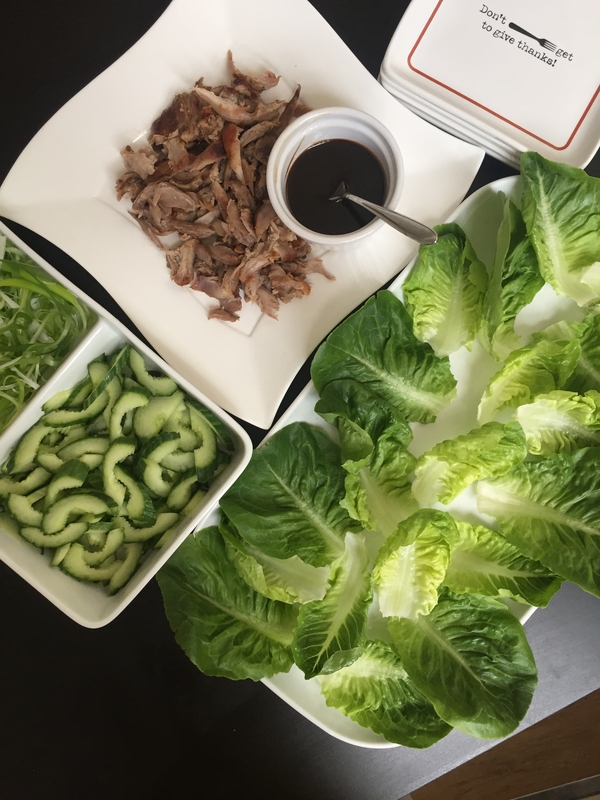 Today I am very excited to make Ching’s Shredded Duck Lettuce Wraps. I’ve only posted one duck recipe on here before and when I was looking for something delicious and simple this one fit the bill! 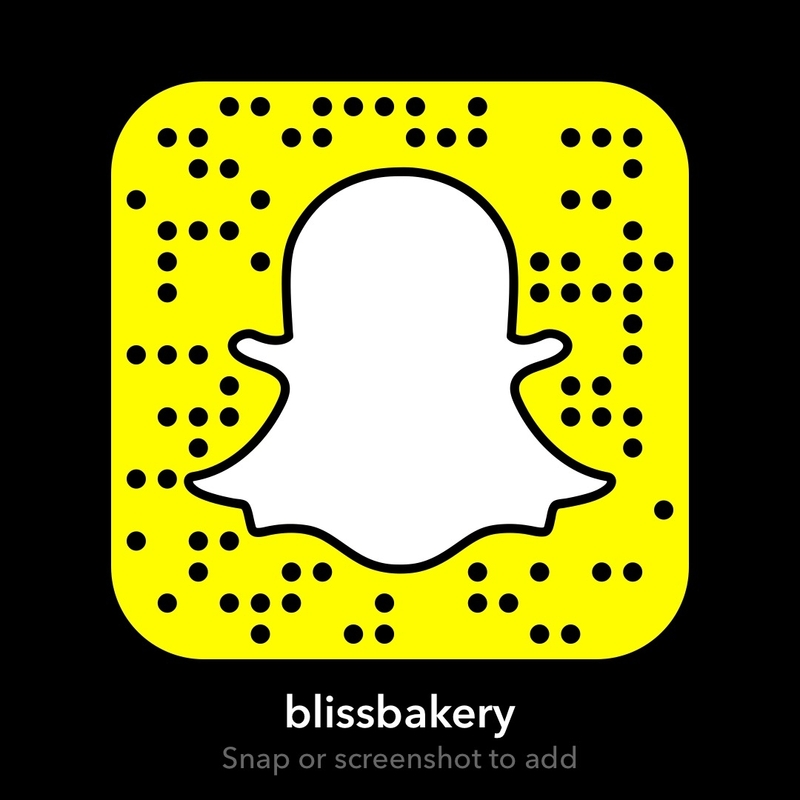 I’ll be doing the tutorial on Snapchat (username blissbakery) if you’d like to watch, though it is only available to see for twenty four hours. Alrighty then let’s get to it! Place the duck legs in a zip lock bag, add all the marinade ingredients. Marinade for at least one hour in the fridge. Heat the oven to 180 degrees. Place duck legs (include the marinade) round side up on a roasting tray lined with kitchen paper. Roast for 40 minutes, then turn heat up to 220 degrees, cook the duck legs for a further 10 minutes to cook medium – well done. Remove and rest the duck for 5 minutes. Once rested, shred the duck legs and place on a serving board. 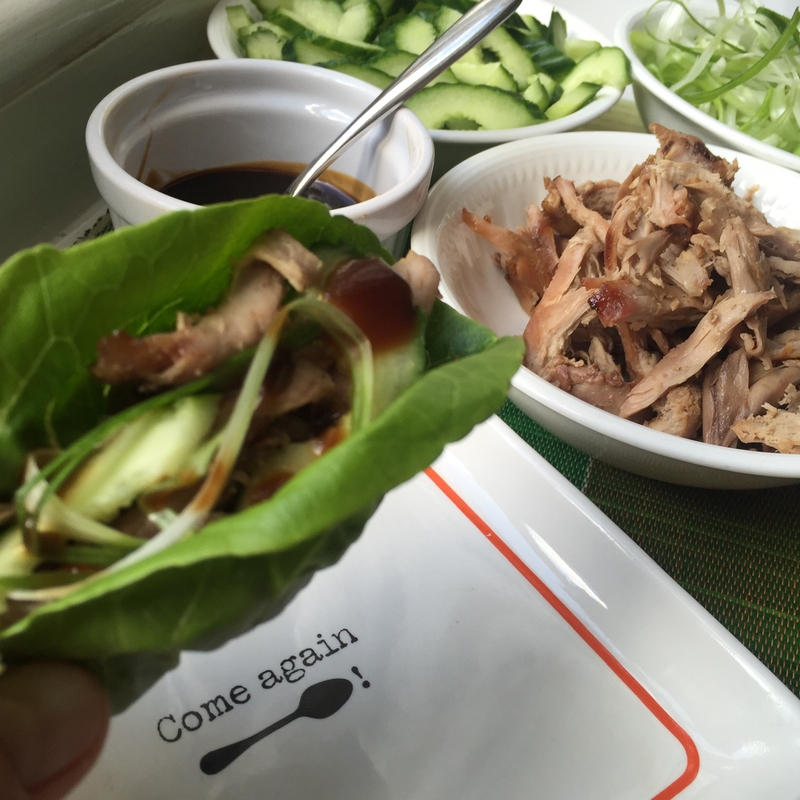 Place the lettuce gem leaves, cucumber slices and spring onion curls in small serving dishes. Pour some Hoi sin sauce in dipping bowls with small serving spoons. 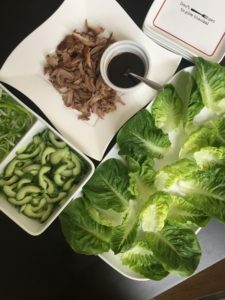 To serve, let your guests make each one themselves by placing some shredded duck onto a lettuce “wrap” garnishing with a slice of cucumber, spring onion curl, finally get them to spoon the Hoi sin sauce onto each “wrap” (seasoning to their taste!). I love these and think they would be great for a party. Then again I would eat these for lunch every day of the week. I know people think duck can be fatty, but this doesn’t taste it at all. The spices and flavors come together so well. And it is really light eating it on the crisp Baby Gem lettuce leaves. Everyone, including myself, tends to go for chicken for a fast dinner main. But duck, especially done this way is actually quite simple and would a memorable dish on any table. Thank you Ching for all you do! With love!